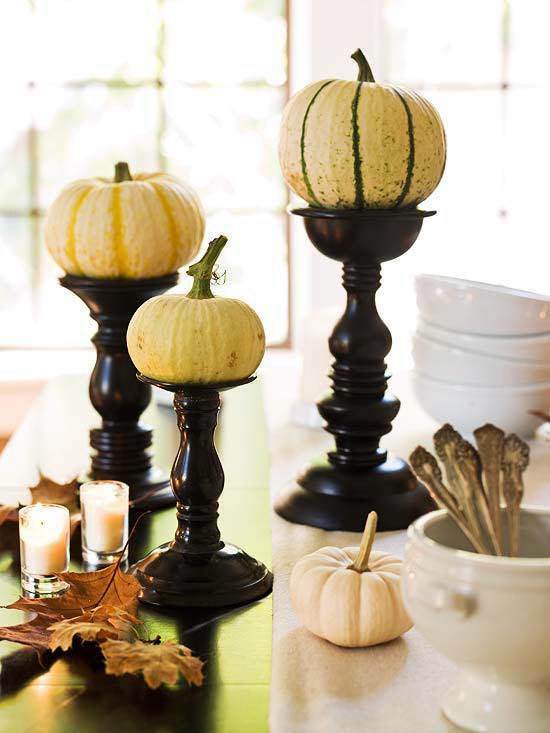 Add height to your centerpiece by placing pumpkins and gourds on pillar candle holders. 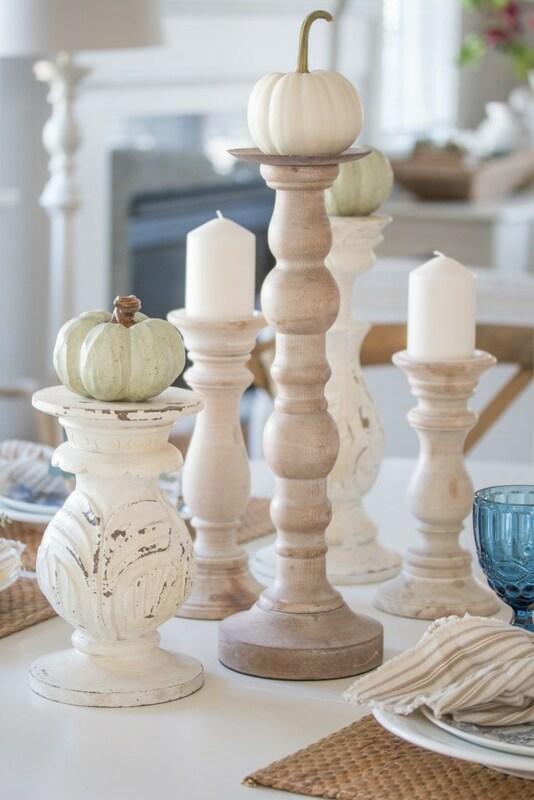 Don't be afraid to mix and match holders that you already have around the house. 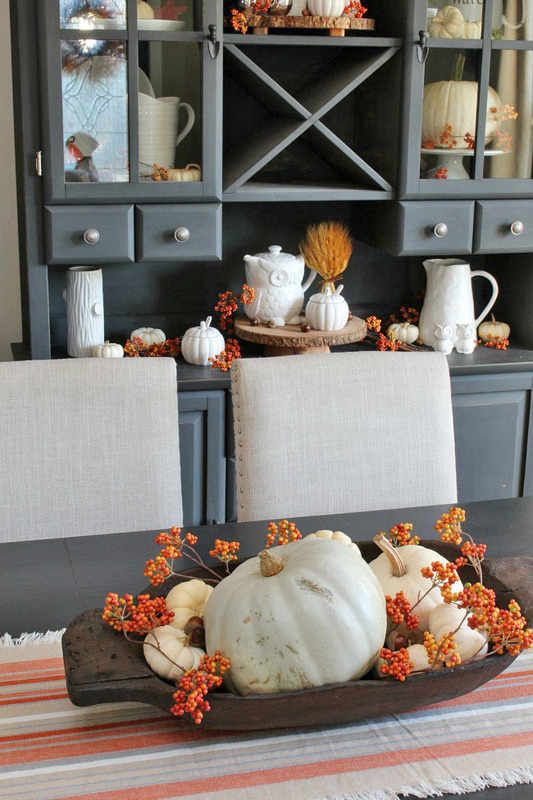 This is a great way to go bold OR stay neutral and light! 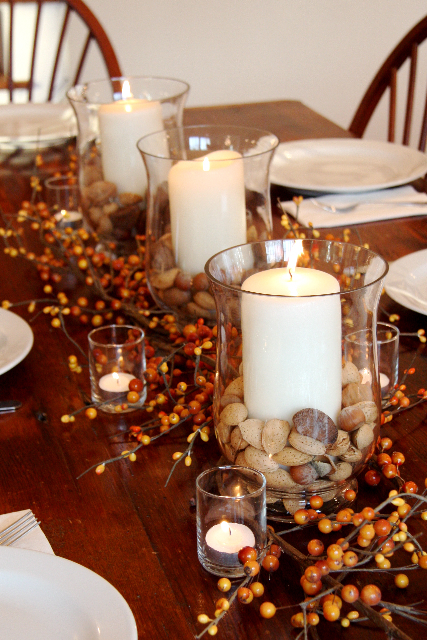 This is a super simple way to bring some Fall spirit to your dining table! 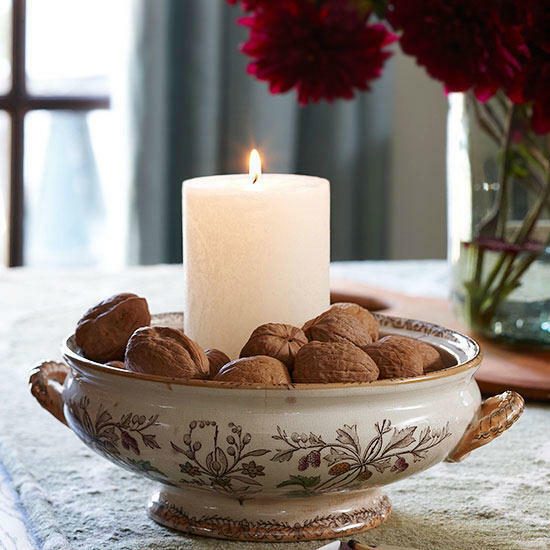 Try using nuts, dried corn, cranberries, dried beans, potpourri, or a mix in a clear (or colored!) 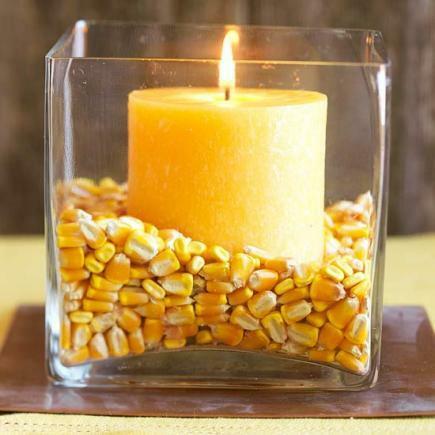 glass vase or a vintage vessel, then pop a candle in middle. 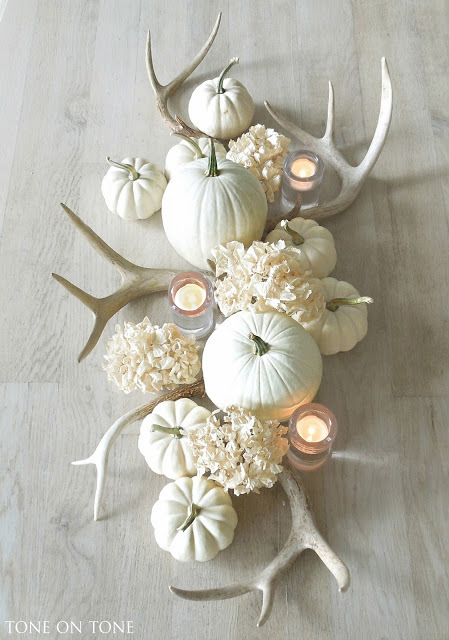 This is one of my very favorite fall decor elements and something I do at my own home every autumn. 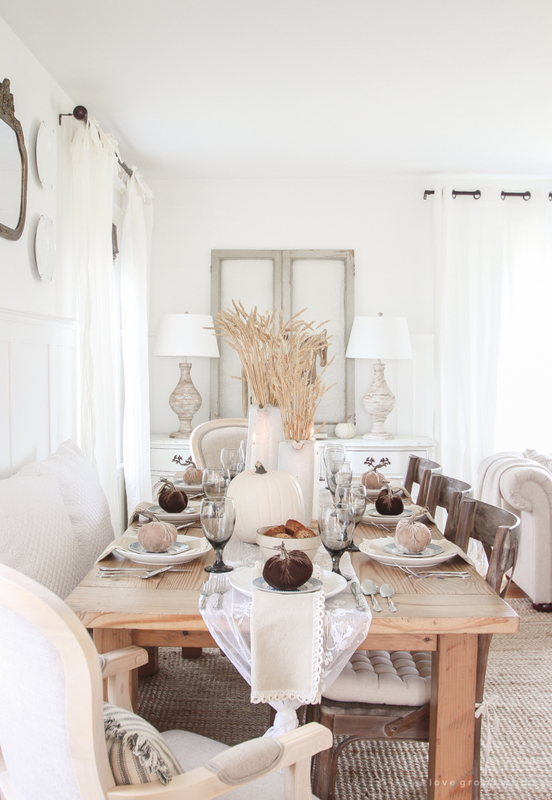 The simplicity of sheaves of wheat in a white vessel reminds me of the bounty and beauty of the harvest season. 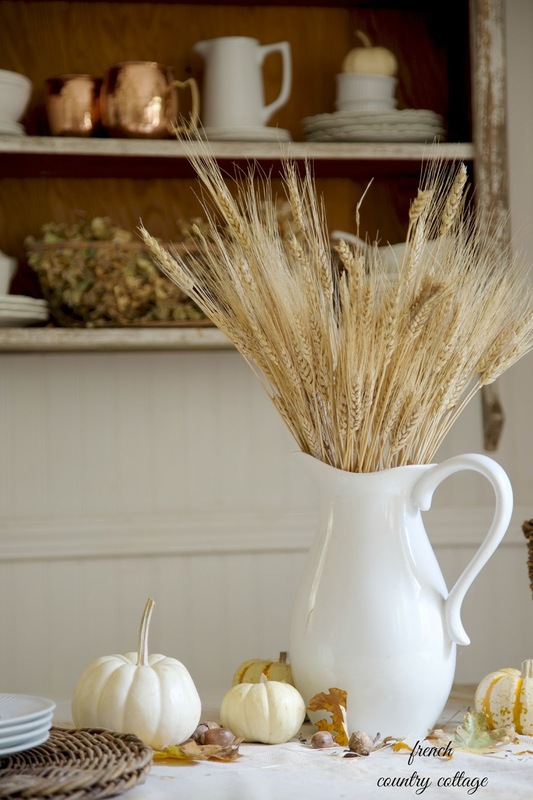 Pick up a bundle of wheat sheaves at your local craft supply store or check out the farmers market. 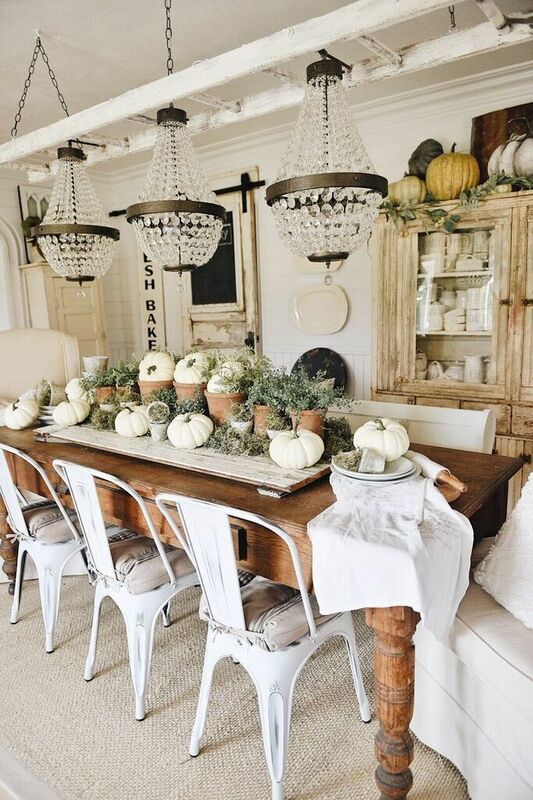 Use an antique (or rustic distressed) dough bowl as your base, then fill with pumpkins, gourds, greenery, berries, twigs, leaves, and whatever else you can dream up to layer together a gorgeous and unique centerpiece. 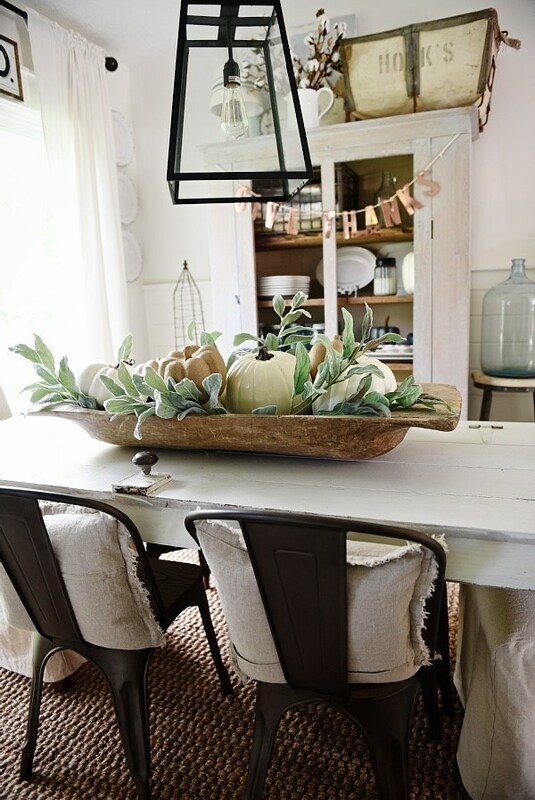 This is a look that can go through the whole season - just swap out the elements once every so often for a refresh! 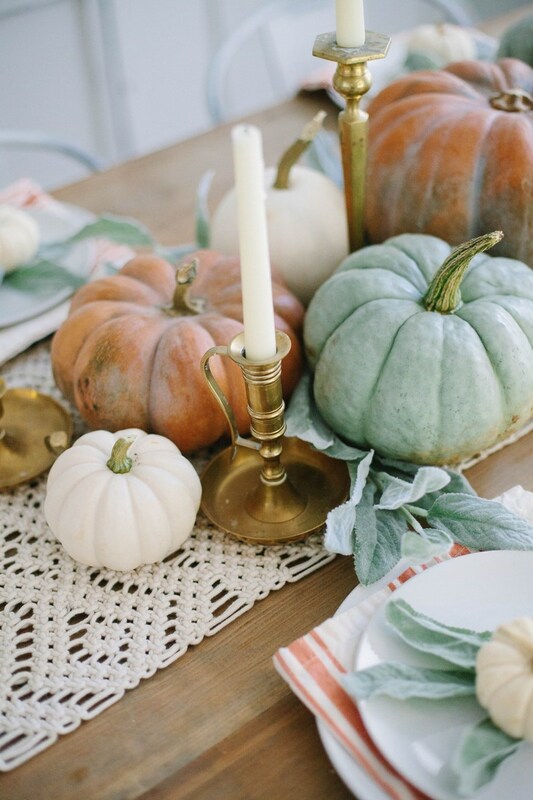 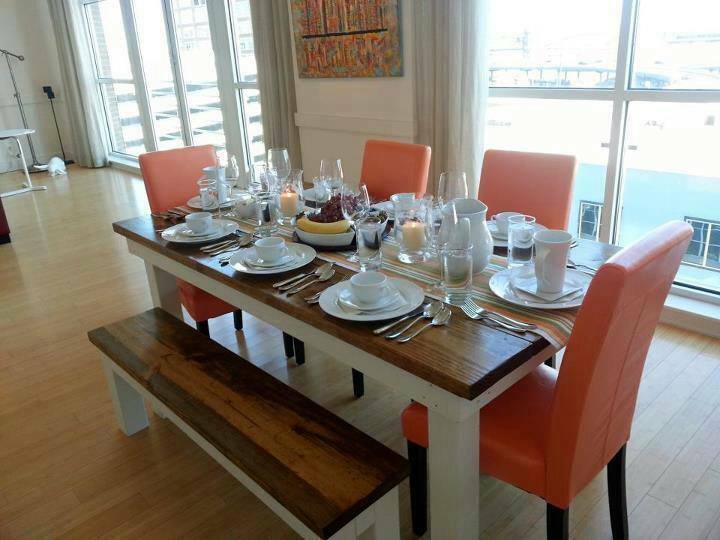 We'd love to hear your tips for simple fall dining room decor! 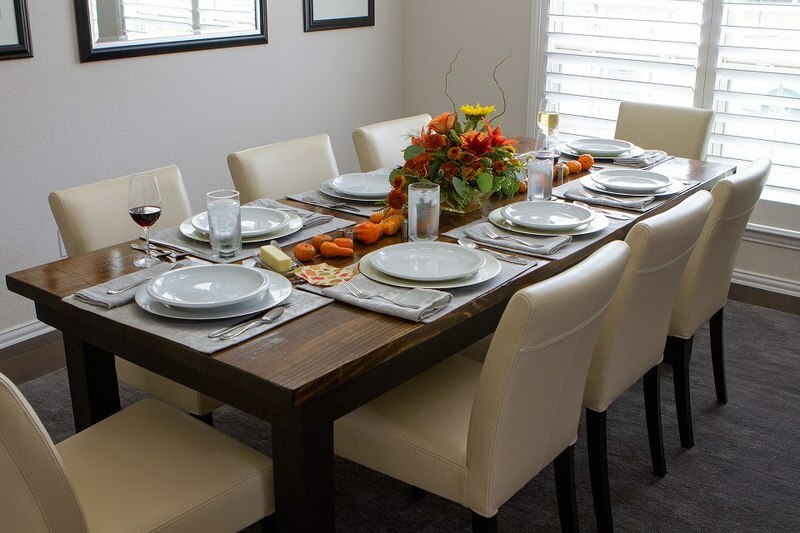 Just shoot your ideas to designteam@carpenterjames.com and one of our design consultants will get back to you quickly. 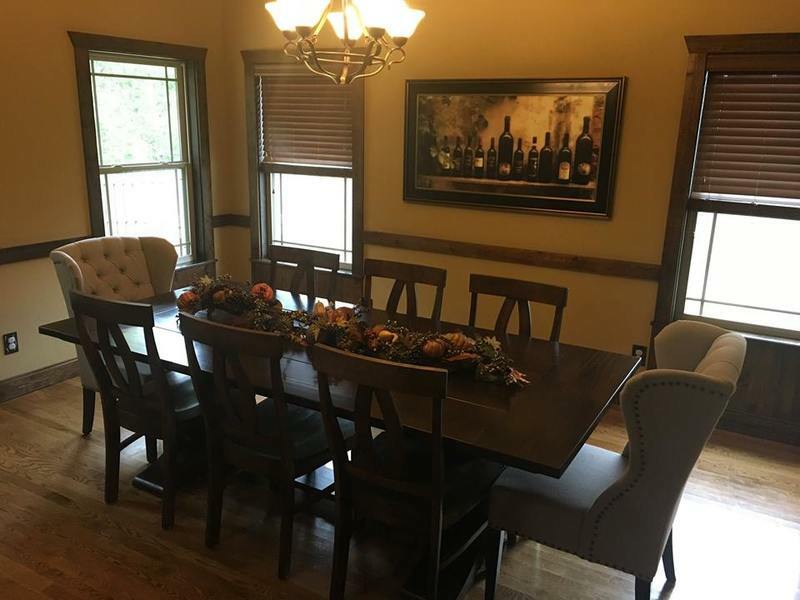 Give us a call at 479-633-7557 or leave us a comment below!